It’s a great time to be a Topekan. Downtown revitalization, NOTO growth, the half-cent sales tax extension, master plans taking shape everywhere from the zoo and Expocentre to the Topeka Riverfront and more events than any time in recent memory are signs we are a community on the move. At the conclusion of National Travel and Tourism Week, as we gear up for summer visitors and reflect on the positive effects of travel and tourism on our community, Visit Topeka is proud to contribute to that positive energy. We also want to celebrate each of you who works to make the visitor experience a positive one in Topeka. We know much of our success as a destination is thanks to our neighbors — more than 4,930 of you — who have tourism-related jobs. (Those jobs represent more than 5 percent of all employment in Shawnee County.) Whether in a hotel, restaurant, gas station, service support or attraction, those Topekans create a guest’s first impression of Topeka. The 806,095 people who visited our top attractions in 2015 enjoyed our community’s best. The memories made on those visits, by locals and guests from Kansas, the region and beyond, were made possible because of the experiences provided at our attractions, restaurants, specialty shops and recreational opportunities. We also rely on you, as a Topekan who spreads the word to friends, family members and acquaintances about the great things happening in your city. Research from Oxford Economics shows visitor spending generated more than $56 million in local government revenue in 2014, a more than $13 million increase from the year before. We know some of you are thinking “That’s good for Visit Topeka.” That’s true because we are funded by the transient guest tax. But it’s good for you, too. That travel-related revenue — from youth sports tournaments, hotel-hosted conferences, festivals and visiting families — generated the equivalent of $773 per household in Shawnee County. Those dollars mean improvements to your quality of life, through investments in roads, safety and more. The total economic impact of travel in 2014 in Topeka and Shawnee County was more than $397 million. Travel and tourism is serious business and it is working for Topeka. A recent example was April 17, when nearly 4,000 people enjoyed the Tulip Time Festival Day at the Lake at Ted Ensley Gardens. We were proud to partner with Shawnee County Parks and Recreation to offer the day enjoyed by Topekans and visitors from the Kansas City area, Emporia, Lawrence, Manhattan, Omaha, Oklahoma, Texas and beyond. As a Topekan, you have more influence than you may realize on travel to our community. Consider the power of your own words. Recall a time you took a friend’s recommendation about a product or place to visit. When someone asks you about your community, seize the opportunity to invite them to explore the attractions and activities we all should be proud of. Encourage them to be here for upcoming events. Among them, the June 11 Family and Food Truck Festival at Gage Park featuring 40 food trucks; the incredible activities downtown on July 2, including the band Kansas on Kansas Avenue, the Freedom Festival at Constitution Hall and the Urban Slide (July 2 and 3), all followed by the Spirit of Kansas on July 4; and the inaugural Kansas Chocolate Festival on Sept. 24. And don’t forget about the Evel Knievel Museum opening later this year. Thank you to the more than 2,200 of you who took time to answer a recent survey related to the Downtown Public Plaza. Visit Topeka was proud to be asked to assist organizers in gathering community input. Like you, we are excited to see how that addition will further transform Topeka. Each of us can play a role in creating the future for Topeka we want. 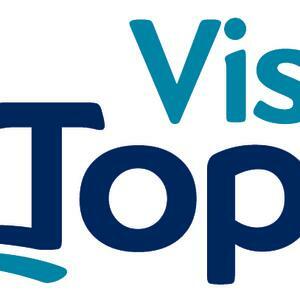 We at Visit Topeka will continue to work toward our future as #TopCity.